You love to take care of your lawn and are searching for the best string trimmer or weed whacker on the market? If the answer is yes, you probably know already that the choice is not simple and these weed whacker reviews should help you make your decision. There are many weed whacker models, and besides choosing based on the characteristics of the lawn, you will also have to decide if you should buy a gas-powered or an electric tool, with a curved or with a straight shaft, or if you should but a trimmer only or a tool that can be transformed for multiple uses. Since there are so many factors to consider, this guide and list of the best string trimmer reviews should help you make a decision. Click on the links below to find out more about each of the best weed whackers. There are many brands, more or less popular, that manufacture string trimmers and a simple search will make you understand that there are literally hundreds of choices out there. For this reason, you should decide which is the right tool for you based on the following decisive factors. The first factor I want to talk about is the type. You should decide what type of power system you need, and how powerful you want the trimmer to be, based on the size of the lawn and of the characteristics of the grass you have. Basically, you will have to choose between two types of string trimmers: gas-powered and electric. So let’s see each of these categories in detail. The gas-powered string trimmers are ideal for large lawns and are generally preferred by the lawn care professionals. These trimmers are equipped with fuel engines and have very good performances on all the types of grass and weeds.Despite these characteristics, the gas-powered string trimmers are noisy, polluting, and generally heavy. They also need regular maintenance. The electric string trimmers can be divided into corded and cordless tools. They are more silent, don’t produce any toxic fumes and are more lightweight compared to the gas-powered string trimmers.These tools are ideal for small to medium size lawns but they are generally inadequate for large lawns due to the limitations imposed by the length of the power cord or by the autonomy of the battery. Regardless the power system, the electric string trimmers are generally less powerful than the gas-powered ones and are more suitable for residential use. The power is a decisive factor that will determine the performance of the string trimmer. Basically, if you want to make sure that you will be able to cut through all types of grass without struggling too much, you should choose the most powerful model you can afford. In the case of the gas-powered string trimmers, the power will be expressed in horsepower or kilowatts. If it is simple to understand the horsepower, in the case of kilowatts, the most powerful models have about 2.3 kW. These tools are designed for prolonged and intense use and are generally expensive.The middle-range tools have an average power between 1.1 and 1.5 kW and are suitable for residential or semi-professional use. However, you should probably stay away from the tools with less than 1 kW. In the case of the electric corded string trimmers, if you search a string trimmer for residential use, you should choose a tool with a power between 1000 and 1200 Watts. For the cordless models, you should ideally choose a model with a battery higher than 12 volts. The string trimmers generally use nylon strings to cut the grass and the weeds. There are trimmers that use a single string line and models that use a dual string line. Both of them can be good choices, and the final decision will generally depend on your preferences. What is more important is the diameter of the string. The diameter of the string will affect the trimmer’s ability to cut the grass effectively, therefore the thicker the string the better. However, pay attention to always use a string with the diameter indicated by the manufacturer or you could damage the tool. The cutting width is another important cutting characteristic to consider. The cutting width will correspond to the width of the area covered by a single cut. So, in this case too, the higher the better. However, if you have a small lawn or a lawn with many narrow places, you should consider these characteristics and choose the cutting width accordingly. In addition to these factors, you should also consider a few other characteristics. Shape: the string trimmers can be curved or straight. There are no particular advantages or disadvantages of using one over the other, so the choice is predominantly made based on your personal comfort requirements. Weight: the gas-powered models are typically heavier and require the use of a shoulder strap for a more comfortable carrying. The most lightweight models are the electric corded string trimmers. Ease of use: ideally, the string trimmer should have an adjustable shaft and handle to increase the comfort of the operator. You should also consider the versatility of the tool, like the possibility to transform the string trimmer into other garden tools. Although it is not mandatory to buy a string trimmer from a trusted brand, I highly advise you to do so. This doesn’t mean that the no-name tools are of poor quality, but you could face difficulties in finding spare parts and accessories if you damage the tool. Now, let’s have a look at the best string trimmer reviews to decide which is the best string trimmer for you. There's no shortage of choice when it comes to the best weed eaters available on the market, which is often what makes it so difficult to decide on which one to purchase. We have done extensive reviews on each and every one you could imagine, so please keep reading if you're interested in learning more. There are various energy sources that can drive your weed whacker. Check out our reviews below. As you might have noticed, there are also a bunch of brands and types when it comes to weed eaters. We have reviewed some in more detail, which you can find below. EGO is one of the top manufacturers for the production of lawn care tools. This Power+ cordless electric string trimmer is not only extremely powerful, boasting a 56-volt lithium-ion battery, but its 15-inch cutting swath makes it an excellent choice for lawns up to 1 acre. In addition to these excellent features, the EGO Power+ string trimmer boasts a 49-inch extended aluminum shaft that is weather resistant. Basically, this string trimmer delivers the performance of the gas-powered tools with the cordless electric convenience. Compatible accessories: the battery and charger of this string trimmer are compatible with all the other Power+ tools. Variable speed: you can choose between increased power or increased battery life by simply adjusting the speed to the desired one. Lightweight: this string trimmer weighs only 16.4 pounds, being easily maneuverable. 5-year warranty: the manufacturer offers a limited 5-year warranty for the tool and 3-year warranty for the battery in the case of residential use. The efficiency of the customer service seems to not be one of the best. Comfortable to use, the Hitachi CG22EAP2SL has a 60-inch long solid steel straight shaft that will allow you to reach in all the angles of your lawn with an incredible ease. In addition to all these features, the manufacturer offers a 7-year warranty for residential use, which is reduced to 2 years in the case of commercial use. Easy to start: the string trimmer is equipped with the S-Strat feature, designed for an effortless start-up. Anti-vibration system: to increase the operator’s comfort, this string trimmer is equipped with an anti-vibration system. Protective cover shield: the fuel tank is covered by a protective shield designed to prevent wear and tear. Thick cutting line: this string trimmer uses .095 inches co-polymer cutting line that ensures an efficient cut of any type of grass and weeds. Because the cutting line is thick, there is less line on the spool compared with models that use the thinner line. Therefore, you will have to replace it more often. An efficient and convenient string trimmer, ideal for residential use and for small to medium size lawns, is this BLACK+DECKER LST136W that comes equipped with a 40-volt Max lithium battery and a 13-inch cutting swath. The battery is interchangeable with the batteries from the other 40V Max system tools, so you will be able to use the battery for multiple purposes. The versatility of this tool doesn’t end here. You will be able to transform the trimmer into an edger with a simple touch. In this way, you can make sure you will have a perfectly manicured lawn. PowerDrive transmission: provides enough power to allow you to trim the grass in the areas that are difficult to reach. Power command dial: will allow you to adjust the cutting speed to the most convenient one. Automatic feed spool: this feature will allow you to trim the grass without thinking about feeding the line. Fast recharge: the BLACK+DECKER LST136W comes with a fast charger that will allow you to recharge the battery in about one hour. It seems that the performances and lifespan of the battery are not some of the best. Another popular cordless electric string trimmer is the GreenWorks 2101602, that comes equipped with a G-Max 40V battery. If you’re fond of the GreenWorks tools, know that this battery is compatible with over 25 different tools. The string trimmer features a 12-inch cutting swath and is ideal for small and medium size lawns. The tool has about half an hour of autonomy when the battery is fully charged, while the recharging time is about one hour. Twisted dual line: to increase the cutting efficiency, this string trimmer works with a twisted dual line of .065 inches. Variable speed: to help you save on the battery’s life, the string trimmer is equipped with a speed trigger control. Lightweight: the tool weighs 9.2 pounds and is really easy to handle. Possibility to improve the battery: the trimmer comes with a 2.0Ah battery, but you can purchase a 4.0Ah battery if you want to increase the autonomy. There are some complaints about the autonomy of this tool. Manufactured by one of the most popular garden tools manufacturers, this Husqvarna 128LD doesn’t need presentations. This gas-powered string trimmer is equipped with a powerful 28cc engine and boasts a wide 17-inch cutting swath, being perfect for large lawns and for both professional and residential use. To improve the cutting quality, this string trimmer uses a .095 inches line. For an easier start, the trimmer is equipped with a Smart Start recoil system that requires almost no effort to start the tool. Detachable shaft: for easier transport and storage, this string trimmer features a detachable shaft. Auto return stop switch: designed to make the start easier, this feature automatically resets the on position. Multi-use: Husqvarna manufactures many compatible accessories that transform the string trimmer into other useful tools. Lightweight: weighing only 11 pounds, this string trimmer is pretty lightweight for a gas-powered tool. Some users complained about the Husqvarna 128LD not being so easy to start as advertised. 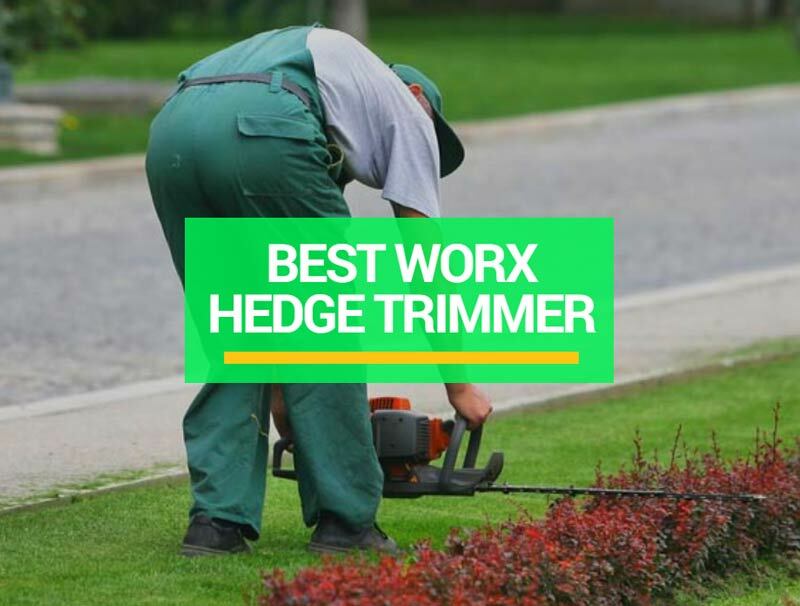 When it comes to choosing the best string trimmer available on the market, there are many established manufacturers that produce high-quality tools. In my opinion, the best string trimmer available on the market is the EGO Power+ 15-Inch 56-Volt Lithium-Ion Cordless Brushless String Trimmer. This string trimmer is simply outstanding. Its powerful battery allows the tool to have similar performances to the gas-powered models, but you will not have to worry about depositing the fuel or inhaling toxic fumes. The 15-inch cutting swath is the right size for a string trimmer, as it will allow you to cut the grass efficiently while reaching even in the narrower places of your lawn. These and all the other features we talked about, make the EGO Power+ one of the most reliable choices available on the market.